Welcome to your vacation home in Aruba! If you are looking for houses for rent in Aruba, enjoy the full experience of the Caribbean vacation lifestyle like no other in an Aruba vacation villa rental at Tierra del Sol Resort & Golf. Stretch out in a spacious, well-appointed condo or villa situated on 600 acres of the island’s most scenic environs. Take in the tropical breezes and panoramic views of the Caribbean Sea or the stunning views of our famed Robert Trent Jones II-designed golf course. Enjoy your condo’s private terrace, just steps from our clubhouse, or your villa’s spacious backyard and private pool. 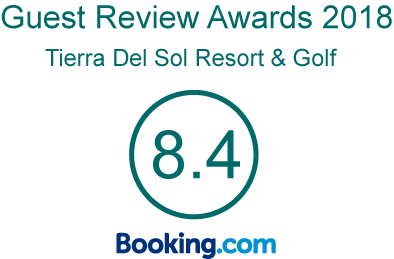 The effortless vacation lifestyle at Tierra del Sol will have you saying goodbye to the confining spaces of a traditional 325 square-foot hotel room, and welcoming the privacy and exclusivity, combined with the conveniences of a resort, that renting a villa or condominium offer. 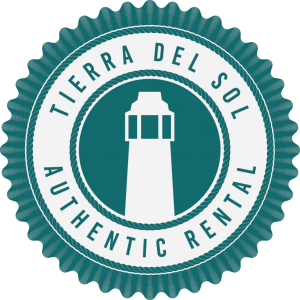 The only credible way to rent villas at Tierra del Sol. When you book a villa without our certification you are not getting the full benefits of renting a private home with Hotel level services and amenities. ALL LOCATED WITHIN VARIOUS NEIGHBORHOODS OF OUR PREMIER GATED COMMUNITY AND STEPS AWAY FROM THE ROBERT TRENT JONES II-DESIGNED 18-HOLE GOLF COURSE. Our fully-equipped condominiums are located in stylish complexes boasting classic Mediterranean architecture and lush tropical landscaping. The condominiums are ideal for up to six guests, depending on size. Looking for houses to rent in Aruba? Our villas and homes offer lots of space and privacy, as well as the luxury of your own private pool surrounded by beautiful landscaping. The homes and villas can accommodate two to six guests, depending on the layout. Indulge in the ultimate vacation getaway with a stay in one of our custom-built estate homes. Each home is uniquely designed and architecturally intriguing, featuring spacious open living areas, pools, and gorgeous outdoor spaces. The homes range in size from approximately 5,500 to 6,000 sq. ft.
1.3 km of the beach of Arashi (5 min) and only 8 minutes drive to the most popular beaches. 7 to 10 km from the capital Oranjestad (15 min) and close to everything Aruba has to offer.